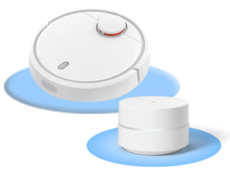 This kit including 1pair HEPA Filter 1pair Side Brush 1pc Main Brush+1 tool idea for repair or replace the damaged or old parts to renew your XIAOMI MI Robot Vacuum Cleaneryou can select to buy the whole set or one of them as your requirement. Nylon brushit will not scratch the floor and furniture. Unique designeasy to collect the hair.